The Advanced Adventurer Course introduces you to several specialised diving activities. It allows you to become familiar with diving in different conditions and gets you into a wider variety of aquatic environments. 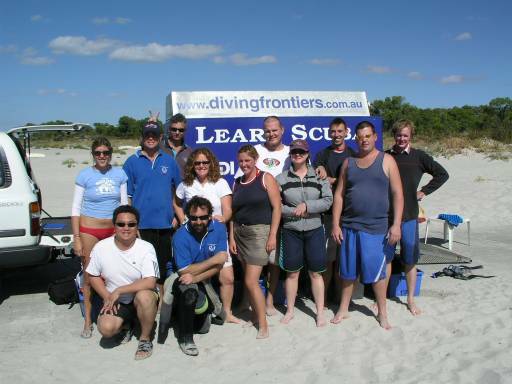 The Advanced Adventurer course focuses on diving adventures, with little or no class room sessions. Home study allows the course to be extremely flexible and can usually accommodate even the busiest schedule. Five dives are made in different areas such as deep diving, night diving, etc. This Advanced Adventurer certification allows you to dive to a maximum depth of 30m. This course runs approximately once a month. See our Calendar. NOTE: Unfortunately these trips do not run during the months of June – September. $300.00 deposit required to confirm your place and for the issuing of the e-learning materials, with the balance paid at the commencement of the course. Open Water Certification or equivalent – It is NOT necessary for students to have completed any additional dives since the Open Water Course and it is acceptable for them to start their Advanced Adventurer Course training immediately following completion of the Open Water Course. This Course is available to Open Water Divers as Advanced training and Instructor supervision is included in the trip. 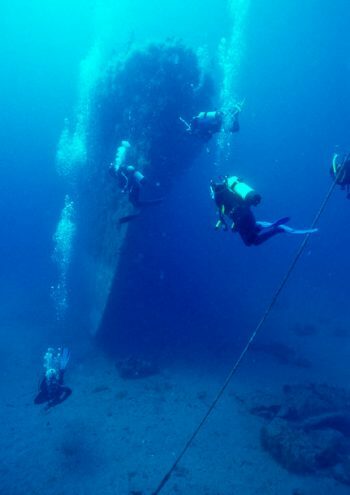 Experienced divers are welcome and specialist courses such as Wreck Diver and Deep Diver courses are also available during these dives depending on numbers. The cost to complete ALL dives for those already Advanced trained is $399.00 plus fills and gear hire. Saturday: We conduct two training dives, Naturalist & Navigation Dive at Canal Rocks. Saturday Night: We depart for the end of the Busselton Jetty from the Busselton Marina by Boat at a time predetermined by your Instructor, for our amazing night dive . Sunday: We depart by boat to the HMAS Swan Wreck for firstly a Deep dive to 30 metres, then a surface interval of approximately 90 mins followed by a Wreck Dive. Instruction by a Experienced Dive Instructors. Scuba Equipment (Equipment hire is available for a discounted rate of $40.00 per day for the weekend – $80.00 total). Students also need to supply a Slate, Knife, torch and SMB (with whistle). If students are using their own Scuba Diving Equipment they must have these four items, along with a dive computer, compass and two cylinders. It is mandatory that a suitable Night Diving Torch is used, and a back up torch and glow stick are also recommended. NOTE Enrolled students are entitled to a 10% discount (excludes tanks) on equipment purchases at the Store. Divers are encourage to join in the organised accommodation which is not only very affordable, but also enables divers to socialise with the other participants and helps with course logistics on the weekend. We usually arrange a special Geographe Marina Apartment, which is less than 2 minutes walk to the charter boat departure point, close to restaurants and bars and has all amenities and will a cost of only $50 per night, per person..
$300 deposit required to secure booking and obtain online e-learning materials. See calendar for Advanced Course trip dates. Run approximately 6 times a year however it is a popular trip and forward bookings are essential. Click here to select a course date from our calendar.